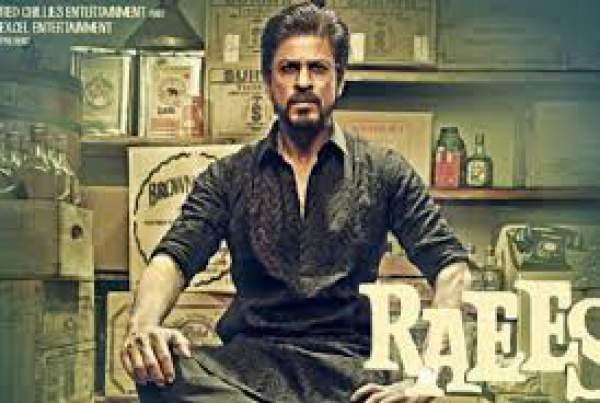 Raees Trailer: The official theatrical trailer for Raees movie has been launched on Wednesday. It is one of the most awaited and upcoming film of Shahrukh Khan and Nawazuddin Siddiqui in lead roles. Mahira Khan plays the love interest of Shah Rukh Khan while Nawazuddin is portraying ACP Patel. We see a glimpse of Sunny Leone in the Raees movie trailer. She will be having a special appearance in an item number. It is going to be a tough fight between SRK movie and Hrithik Roshan’s Kaabil at the box office as both are releasing on the same date in India, 26th January 2017. The Raees theatrical trailer starts with a bold monologue of Shahrukh Khan. It introduces his character to the audience. He is seen in and as Raees, a don at the wrong side of the law. Then, Nawazuddin comes in the space as a cop, ACP Ghulam Patel. It is the first time when both the actors are sharing screen space. Raees official trailer may have shown Raees as a bad man, but SRK told the real meaning of being Raees. At the trailer launch, he said that Raees is not someone who is rich, but someone who is benevolent. In the meantime, the love of his life (Mahira) comes in the frame. The Pakistani actress has a character who loves to call SRK Battery. Some days ago, SRK was seen wearing a black hoodie with “Don’t call me Battery” printed on it. The 51-year-old actor falls in love with Mahira in the film. Also, they are seen in some of the songs. It is the for the first time when Sunny Leone has a dance number for king Khan. It seems to be the revamped version of yesteryear Laila Main Laila. Maybe the actor is preparing for a blockbuster since three years which he couldn’t give to the fans. Let’s see if this movie gets him back the throne of a versatile actor. The answer lies in the future. Directed by Rahul Dholakia, Raees release date is finalized as January 25. As of now, it has less than two months when it will be released worldwide. The special appearance of SRK in Dear Zindagi got much appreciation. Did you like Raees trailer? Share with us.